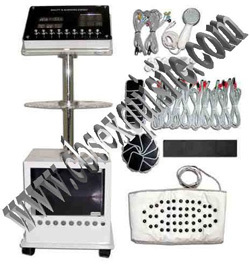 Model: SDSML-106“This galvanic spa machine is the perfect addition to any spa and salon service offerings because of its amazing ability to moisturize and soften skin. 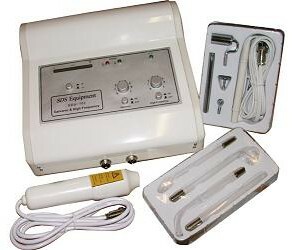 This machine emits a low-level electric current which gently massages skin with pulses of a specialized gel which eliminates impurities, stimulates blood flow to the area and resuscitates stressed skin. The galvanic machine can be used on different areas of the body including the face, scalp and areas of cellulite such as thighs and more. 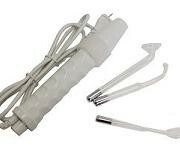 When used on the scalp the galvanic spa machine increases blood circulation which stimulates hair growth. 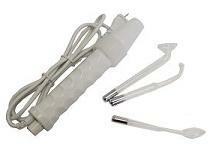 Other popular areas for galvanic use include the face to minimize wrinkles and arms and thighs to reduce cellulite.please note,all shipping charges are additional to the freight amount“that appears in shopping cart when checking out and will only show up“on your invoice from us.this will not appear on your internet order. DREN ACTION is used on the body to methodically melt accumulated cellulite, diffuse localized fat, and eliminate excess water retained in the body , and provide toning of muscles. 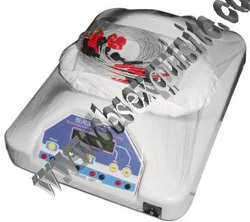 Item# USA-F-803.This two in one machine features High Frequency and Galvanic. 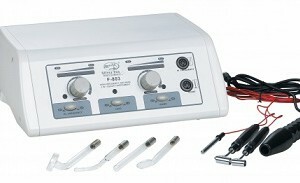 Use the High Frequency step to clear up skin conditions such as acne. Galvanic provides deeper penetration of product and improvement in the vascular/lymphatic interchange in the area. please note,all shipping charges are additional to the freight amount“that appears in shopping cart when checking out and will only show up“on your invoice from us.this will not appear on your internet order. Model: SDS702“The Galvanic and High Frequency Unit offers the perfect combination of galvanic and high frequency machines to offer the best facial prepping and service possible for clients. The galvanic current administered by the spa unit gently softens and relaxes the skin separating out harmful bacteria from the healthy skin leaving skin clear and refreshed. The galvanic machine can be used on different areas of the body including the face, scalp and areas of cellulite such as thighs or arms. This high frequency control of the machine will take facial treatments to the next level by allowing spa professionals to apply cleansers, gels and skin care products to a clientâs face using high frequency sound waves which clean deep down, exfoliate and can even decrease the appearance of wrinkles and acne. The facial cells and muscles will be stimulated leaving the clientâs face feeling refreshed and rejuvenated.please note,all shipping charges are additional to the freight amount“that appears in shopping cart when checking out and will only show up“on your invoice from us.this will not appear on your internet order. Model: SDSIM-096“The Handheld High Frequency facial machine is the perfect pocket sized spa tool that offers impressive results. 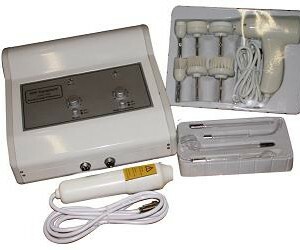 This handheld high frequency machine takes facial treatments to the next level by allowing spa professionals to apply cleansers, gels and skin care products to a clientâs face using high frequency sound waves which massage deep down, exfoliate and can even decrease the appearance of wrinkles and acne. The facial cells and muscles will be stimulated leaving the clientâs face feeling refreshed and rejuvenated.please note,all shipping charges are additional to the freight amount“that appears in shopping cart when checking out and will only show up“on your invoice from us.this will not appear on your internet order. 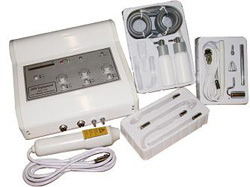 Model: SDS703“This triple action 3 in 1 Beauty Instrument combines a galvanic, high frequency and vacuum and spray machine into one easy to used multi-purpose unit perfect for offering high level facials and microdermabrasion services. The galvanic current administered by the spa unit gently softens and relaxes the skin separating out harmful bacteria from the healthy skin leaving skin clear and refreshed. Remember to turn the Galvanic function to the zero position before starting in a new area and do not use the current on areas with broken capillaries. Polarity should be in though with the skin and moved slowly. please note,all shipping charges are additional to the freight amount“that appears in shopping cart when checking out and will only show up“on your invoice from us.this will not appear on your internet order. 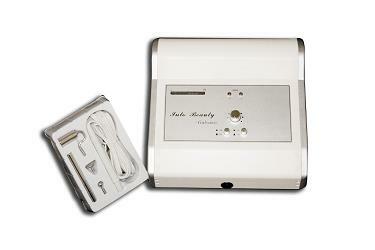 item #SPA8080.“please email us for information.please note:shipping charges are extra,these charges will not appear on your internet invoice,only on your invoice recieved from us. 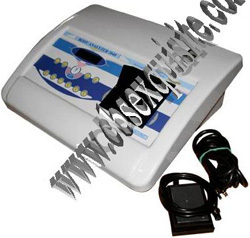 item #SDS2040.The Body Composition Analyzer Machine is an extremely reliable method for body composition analysis. Itâs fast, consistent, accurate and easy to use. This body composition analyzer provides detailed body composition analysis â weight, impedance, body fat percentage, body mass index (BMI), fat mass, fat-free mass and more, all without the inconvenience of more intrusive traditional measurement methods. 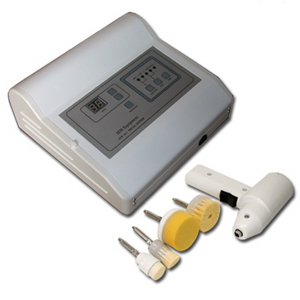 It is an affordable and very portable system for mainstream medical use. 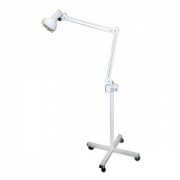 It features a mounted display with a built-in printer for easy mobility. It has a Goal Setter feature that calculates the amount of fat mass to be lost or gained in order to achieve a pre-selected target fat percentage.please note:shipping charges are extra,these charges will not appear on your internet invoice,only on your invoice recieved from us. Model: SDS704“The Brush Unit and High Frequency unit combines the exfoliating and cleansing methods of a brush machine with the high frequency unit ideal for applying gels and cleansers deep into skin for a more effective facial. The facial cells and muscles will be stimulated leaving the clientâs face feeling refreshed and rejuvenated. A brush unit and high frequency machine facial will thoroughly remove dead skin cells and leave the skin glowing, soft, healthy and fresh. The Brush Unit and High Frequency machine is easy to wipe down, light enough to carry and small enough to store discreetly on a shelf. please note,all shipping charges are additional to the freight amount“that appears in shopping cart when checking out and will only show up“on your invoice from us.this will not appear on your internet order. Model: SDS811“The Complete Brush System II facial brush machine offers a more luxurious and effective facial experience. The spa brush machine works with different sizes and textures of brushes and smoothing materials such as pumice which are specially designed to exfoliate, clean and stimulate the skin. This piece of spa equipment works by gently applying lotions and facial cleanser to the skin in a circular motion which feels as relaxing and as energizing as a massage. The timing, speed, strength and direction of the attachments are conveniently digitally controlled with just a touch of the finger. “please note,all shipping charges are additional to the freight amount“that appears in shopping cart when checking out and will only show up“on your invoice from us.this will not appear on your internet order. item #SDS8070.Benefits: Slimming/Lifting/Detox/Reduce Inches/Cellulite Improvement/Water Retention and Hydration/Muscle Toning“please note:shipping charges are extra,these charges will not appear on your internet invoice,only on your invoice recieved from us.